Cheltenham Montpellier Treasure Hunt Trail! Are you looking for something to do with family and friends or seeking a fun day out with the kids in Cheltenham Montpellier? 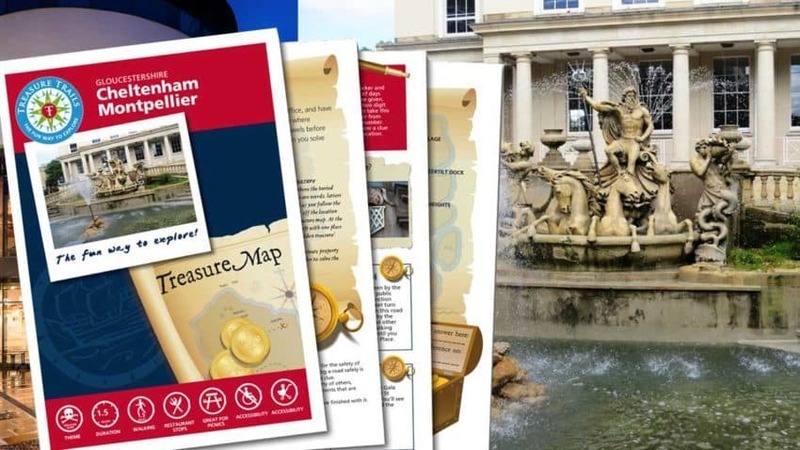 Then why not explore Cheltenham Montpellier on this self-guided Treasure Hunt themed Treasure Trail. As you follow the Trail route, can you solve the sneaky clues set on existing buildings, permanent features and monuments to discover the location of the buried treasure? Click here to get your pack! The Trail will take you on a circular walk from the elegance of the Regency style centre of town along the Promenade and through the streets, alleys, parks and gardens that give Montpellier such appeal. « Oxford University Parks Spy Mission Treasure Trail!